Despite how much our species has evolved, the humankind is still very fragile when compared to some of the other creatures we share our planet with. If a cataclysmic event were to occur, the humans would not be the last species to call Earth home. Humans can’t survive mass extinctions. 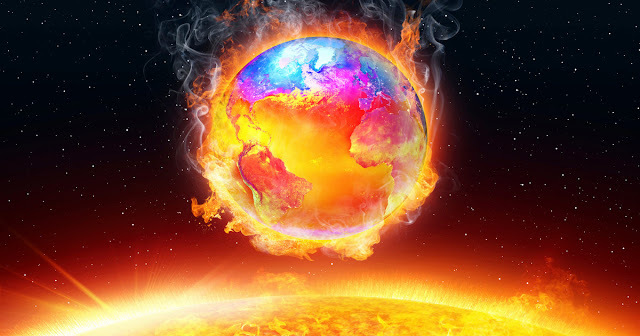 Taking a number of potential “doomsday” scenarios into consideration, a group of scientists has identified what they believe will be the last form of life on our planet until the eventual demise of the sun. One microscopic animal has proved itself to be so incredibly resilient that researchers found it would ultimately be Earth’s sole survivor long after the human species have been eradicated. From asteroid impacts to exploding stars, there are a number of cataclysmic events that would put an end to our species. However, none would be devastating enough to wipe out all life entirely. Researchers determined that, until the sun dies, tardigrades would outlast all other species. These water-dwelling, eight-legged micro-animals have a resilience that is unparalleled to all other known life forms. “To our surprise, we found that although nearby supernovae or large asteroid impacts would be catastrophic for people, tardigrades could be unaffected,” Dr. David Sloan of Oxford University stated. What makes tardigrades the most indestructible species? These micro-animals are able to survive for up to 30 years without food or water and can endure extreme heat of up to 150 degrees Celsius (302℉) as well as the freezing temperatures of space.